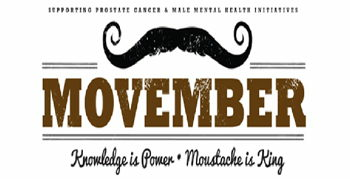 #TeamCSB men are proud to participate in Movember, to raise awareness and keep men from dying too young. Together we can make a difference for men's health – in prostate cancer, testicular cancer, mental health and suicide prevention. Check our social media pages and visit our banking centers to track our progress, learn more about movember, and let's work together to raise awareness!